Rae Armantrout's most recent books are Up to Speed (Wesleyan, 2004), The Pretext (Green Integer, 2001) and Veil: New and Selected Poems (Wesleyan University Press, 2001). 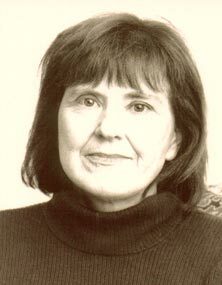 Her poems have been included in numerous anthologies, including Postmodern American Poetry: A Norton Anthology (1993), American Women Poets in the 21st Century: Where Language Meets the Lyric Tradition (Wesleyan, 2002), The Great American Prose Poem: Poe to the Present (Scribner, 2003) and The Best American Poetry of 1988, 2001, 2002, and 2004. She is Professor of Writing and American Literature at the University of California, San Diego.